Update 2/6/18: The feature is now available in the Chrome OS Dev Channel. Display density, which is measured in dots per inch (DPI), determines the size of interface elements on a given device’s screen. Higher display densities increase the resolution (in pixels) relative to the device’s size (in inches), resulting in a greater number of elements being squeezed into a smaller space. Lower screen densities make interface elements larger. For a while, Android didn’t have software-adjustable display density. That changed in Android Nougat, which introduced a display size adjustment tool that allowed users to change display size on the fly without having to resort to ADB. Unfortunately, Google’s other operating system, Chrome OS, hasn’t followed suit with a display slider of its own. However, a commit in the Chromium Gerrit shows that Google might be planning to implement one in the near future. 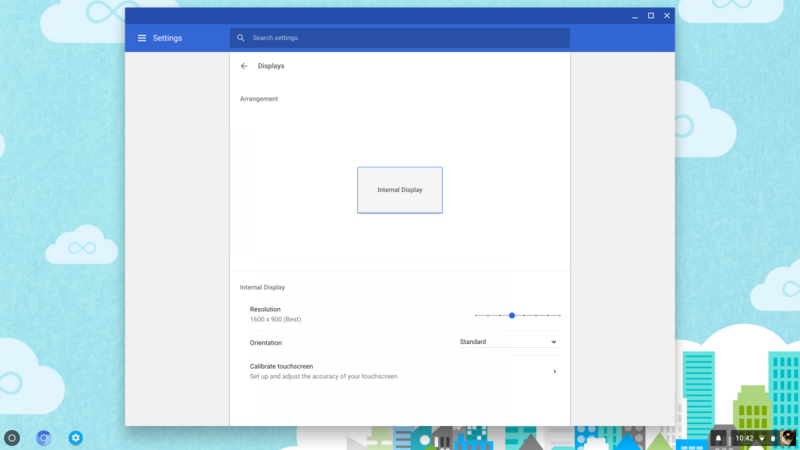 These are the current Chrome OS Display Settings. switch which can be toggled from the chrome experiments page. within reasonable bounds. Added tests for the same. display from 1.0f to 0.5f. 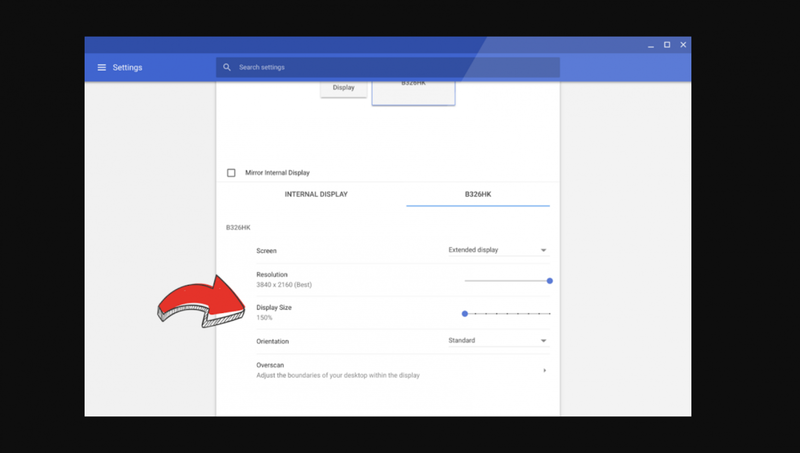 When the commit is merged, Chrome OS users will be able to adjust the size of elements on the screen with a simple slider in the settings menu. It’s sure to improve the Chrome OS user experience.